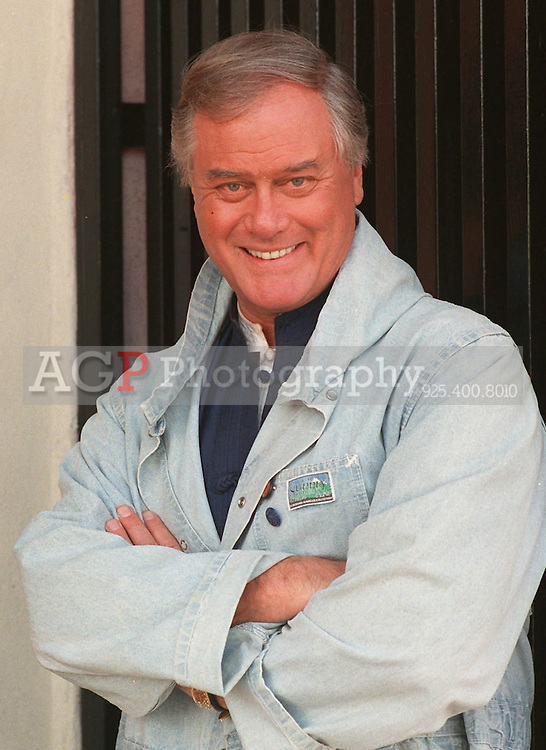 Jan 05, 1989 - Los Angeles, California, USA - Actor Larry Hagman poses outside a Los Angeles restaurant in the 1989 photo. Hagman was reportedly ailing from liver cancer and the effects of years of heavy drinking, several television stations reported Wednesday, Aug. 23, 1995. There was no immediate word when surgery would be performed. Hagman, 63, was diagnosed in 1992 with cirrhosis of the liver, and has acknowledged that he drank heavily for years. .(Credit Image: © Alan Greth).